Built-up model of our Coasting Schooner kit. 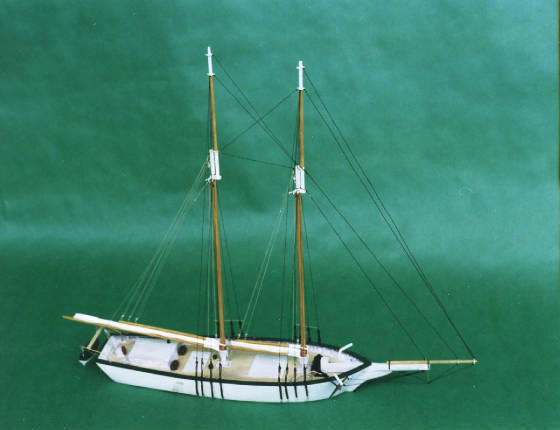 This kit is based on MATTIE, a 72' centerboard coasting schooner of the late 19th century and is typical of the boats which serviced communities along the Maine coast. Includes cast resin hull, britannia fittings, photo-etched brass details, styrene and wood building materials, plans, and instructions.